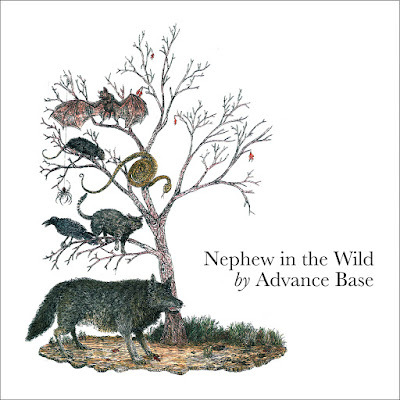 It’s been three years since Advance Base’s debut album, A Shut-In’s Prayer, made #19 on MOJO Magazine's Best Albums of 2012 list. Since then, singer, songwriter & multi-instrumentalist Owen Ashworth has published a book of drawings, made beats for Chicago rapper Serengeti, recorded the debut single by psych-folk troubadour Julie Byrne, paid tribute to gospel & outsider music legend Washington Phillips (see 2013’s The World Is In A Bad Fix Everywhere EP), contributed electric piano & co-writing credits to Sun Kil Moon’s critically acclaimed 2014 album, Benji, & produced more than a dozen other releases for his own label, Orindal Records. Ashworth has finally turned his focus back on his own music & given us Nephew in the Wild, the second official album by Advance Base.